Electric control both to raise and lower the blind. The driver pulls the blind until it is in the desired position. To draw up the blind simply pull the cord. There is the possibility of putting the cord on the right or left, as requested by the client. They use a new rear-mounted scissor system in place of side-mounted bars. Available in manual and electric versions. The models of passenger blinds are simpler and don't have the upper panel. 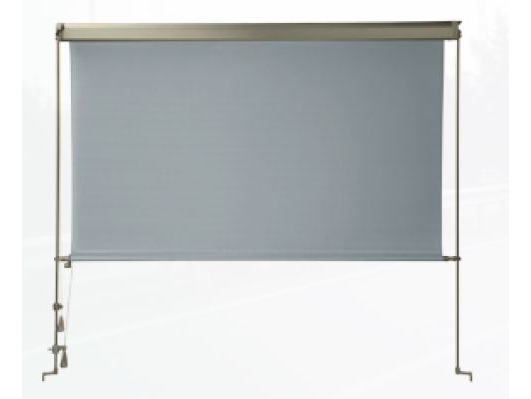 They come with 4 anchor points, which provide the user with 2 height levels to adjust the blind as required. Blinds intended for school transport. Available in two sizes and with reflective fabric or with LEDs.